He's not my favorite character on the show, but it seems like it will be hard to have the show without him. I wonder how they will write him out, he crashes the Corvette and leaves the house to Jian Yang? This surprises me. A lot of that humor is going to go away Who is going to yell JIANNNNNNNNNNNN YANGGGGGGGGGGGGGG all the time?! I feel like an idiot for not catching the foreshadowing. Richard and the guys are starring at the Gavin head contemplating what they are going to do. They move the giant picture and there stands Jin Yang. Just go to him for the funding! Jared continues to deliver. "Richard, this is no time for false humility. You're a catch...deal with it." Haley Joel Osmont looks quite different. Without any insider knowledge, some people of Reddit think he will replace Erlich on the show. "Gulp". She was so mean to Richard, it was great. Did anyone else feel offended when they took a jab at working in technology for the insurance industry? How “mutual” was the decision? As mutual as public announcements go. I’m so grateful to HBO because they offered several ways that we could make this work. They were open to all sorts of compromise to allow Erlich to continue to be on the show, but ultimately this just felt like an organic ending. And the relationship with HBO — I mean, they did my special. It’s a dream come true, or at least a living, waking nightmare that was actualized. And on top of that, they gave my best friend, Pete Holmes, Crashing — a show that’s autobiographical, and I get to play myself. I’m not a very good actor; that’s a really easy job. I love HBO, but I thought this would be that thing that would change the show in a positive way. I mean, those guys are the funniest guys working. Why are you leaving now? I work so much. I do every single platform. I do every single medium, down to podcasting with Cash Levy (“Cashing in with T. J. Miller”), all the way up to being in an underwater thriller with Kristen Stewart and wanting to be the funny part of that. I want to be a stand-up comic. So [I left] for my own sanity, and for the sake of slowing down, and being more present and able to devote more time to this myriad of projects that I have going on. The other thing of it is that I didn’t get into comedy to be a television actor, and the second that I felt that there was a possibility of going on autopilot — of even phoning it in with this particular project — that’s when I say, “Okay, I gotta walk away. I have to do something where this won’t happen. I can’t allow myself to show up and give a B-plus performance on a show that is an A-plus when it comes to television.” That is a huge, huge part of it. I think for something to come to an organic end, even if it’s before the public wants it to happen, is so much better. Leave them wanting more. There was one adage that’s never wrong. In comedy, you walk off-stage when the laughs are at their peak, and people go, “Wait, what? The show’s over? It’s just over like that?” You leave them wanting more because you don’t ever want them to wish that there had been less…. Also, in a weird way, it’s interesting to me to leave a show at its height. It’s interesting to me to see how the show will grow and change with the exit of this character. Patent Troll episode was probably the weakest of the season. Jared's new character was great, but everything else was pretty lackluster. I knew by the end of the episode the troll would be resolved one way or the other. Now way we were getting a court episode of them fighting it. I see no progress in writing Erlich out of the show. Sudden Corvette crash is in his future. I think he's just going to get sad and leave or something. I don't know. 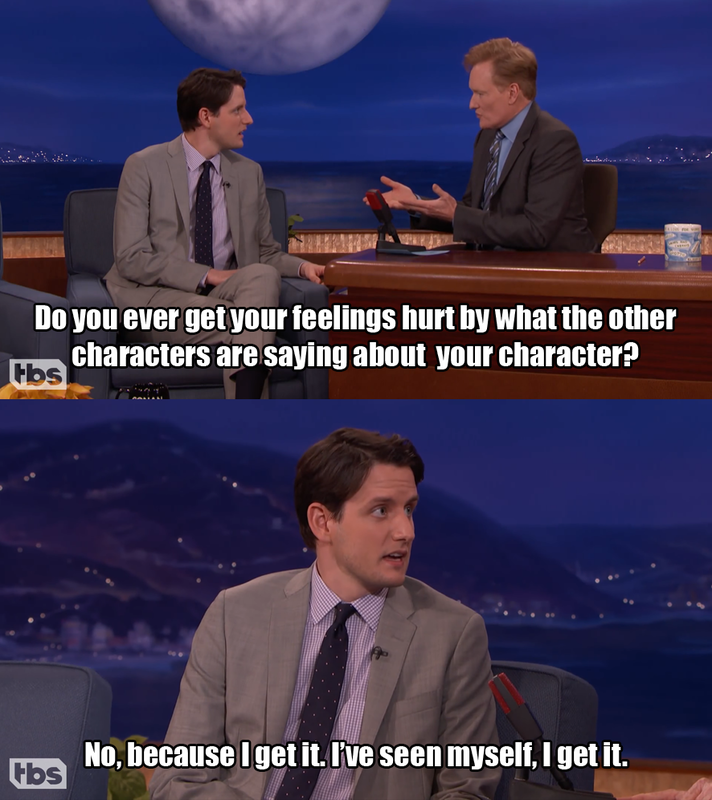 Jared's character was fantastic. Rest of the episode was okay. Jared is stealing this show right now. megatron wrote: Source of the post Jared is stealing this show right now. The openings with the rude doctor always get me to laugh. The jokes throughout the episode about Richard shrinking were also good, otherwise this was a filler episode for sure. Goldfold spent an entire episode hacking a fridge, wut? Tyler wrote: Source of the post The openings with the rude doctor always get me to laugh. The jokes throughout the episode about Richard shrinking were also good, otherwise this was a filler episode for sure. Goldfold spent an entire episode hacking a fridge, wut? "I'm not going to buy a 14,000 dollar refrigerator"
"No, I am. To make you feel bad. Because you are fat and poor"
cwilkins88 wrote: Source of the post "No, I am. To make you feel bad. Because you are fat and poor"
Another meh episode I thought. The whole episode wasn't hilarious, but it did have some nice jokes. I hope the season ends strong with the last 2 episodes. Keenan = Lucky Palmer. Lucky Palmer started Oculus and sold it to Facebook. Keenan started VR and sold it to Hooli. Was not cool of the guy sto let Keenan use middle-out, but why didn't Richard just license it? Who actually thought Erlich was going to die in the fire? I didn't, that wouldn't be the proper send off for that character. I read this morning that TJ Miller is satisfied with how Erlich will be leaving the show. It seems like Richard got what he wanted multiple times this episode. He wanted 25 million, he got it. He wanted out of the deal, he got it. That email is going to come back though. The team is going to be furious when they learn Richard backed out of the deal without talking to them first. How are they going to leverage all of those phones at Hoolicon? Is this season not going to end with Jian Yang giving them money? The ending joke with Dinesh was great. "Why would I have that information". The show is good at picking apart TV troupes like that. Like when Richard walked into the room and kept talking "Oh..you didn't follow me in here?" LOL. 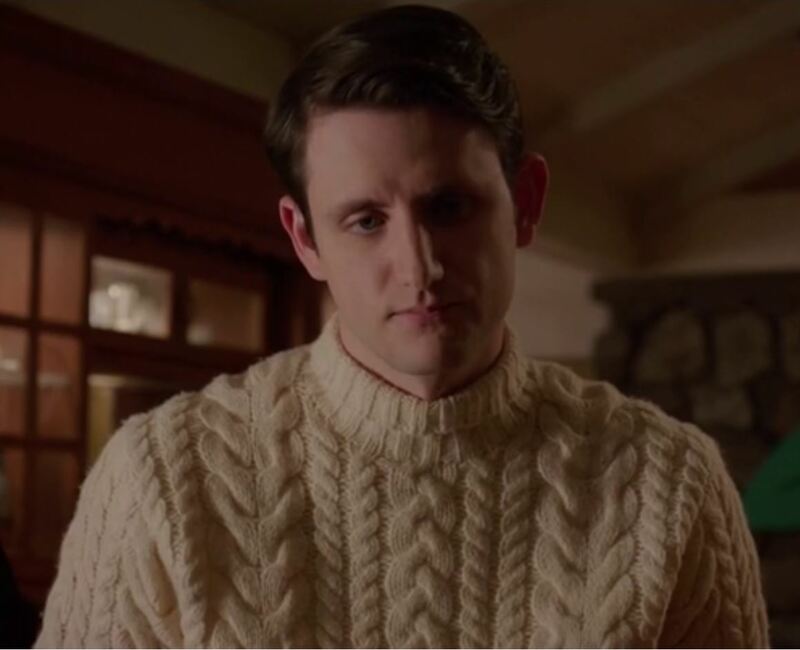 I didn't catch this joke at all when Jared was wearing the sweater. 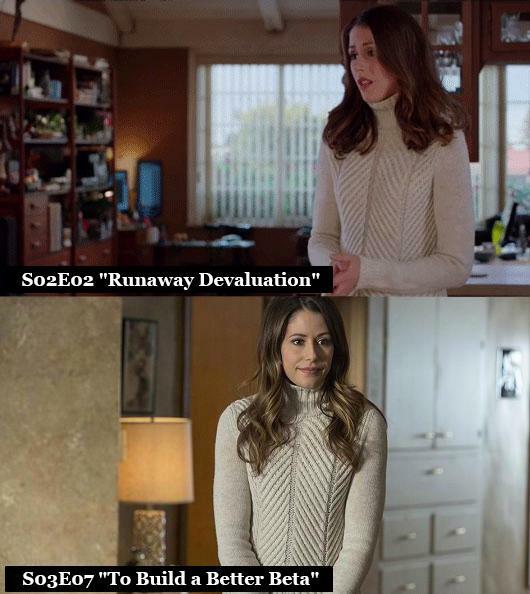 Did anyone else notice that when Monica showed up at Pied Piper to discuss the Beta with Richard, she was wearing the same Beige sweater that Laurie recommended she wear in episode 2 of season 2 to tell the guys that Raviga Capital was de-funding the company? Evidently, it is now Monica's go-to outfit for delivering bad news. Another funny part about that scene is when they were waiting for Richard to come in the back door, like he did in 401, but instead he came through the front. "The Heisman trophy, from athletics." Tyler wrote: Source of the post Keenan = Lucky Palmer. Lucky Palmer started Oculus and sold it to Facebook. Keenan started VR and sold it to Hooli. I was proud of myself for catching this. 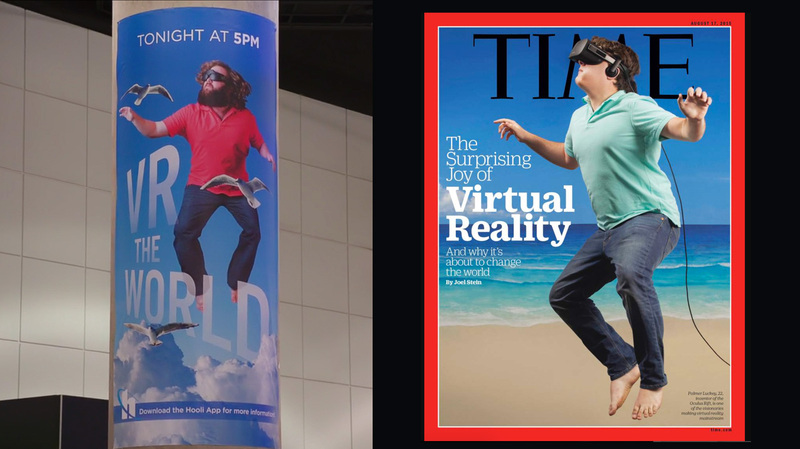 I paused the TV to show Jocelyn the Time cover of Palmer that the show was mocking. What is blowing up the phones? Is it their hacked app or is it the OS that Action Jack had to quickly update in a mater of days? Either way, Pied Piper is once again screwed because they just lost all of those users. Speaking of blowing up. The suicide bomber gag with Dinesh was hilarious and offensive. "Find the most crowded area. If you see guards coming push the killman switch. I predicted the guard was going to help the guys just before he let them go. Makes sense, he idolized Gavin and Richard is trying to do good by Gavin even though Gavin has screwed him plenty of times. Big laugh at Jared still having NipAlert installed on his phone. That was a nice callback. "As a product of forced adoption I can assure you there are consequences." I love this show, but I do hate how everything bad happens to the guys. I wish they would give them incremental wins, instead of HUGE win, JK JK LOL LOL we are taking it from you 57 seconds later and now you're back to square one. Jack = Steve Ballmer "I LOVE THIS COMPANY"
That was a lackluster way to write out TJ Miller, but it does leave things open to have him back back in future seasons. I'm glad the guys were able to preserve the data, the the fridge ex machina was pretty lame I thought. I remember thinking during the fridge hack episode that the fridge must serve a bigger purpose later since half an episode was devoted to it, but I had forgotten about it since then. Jared hated the idea of installing malware on phones, but he is okay with hacking a company's product and pushing a fake update to it? I would think the boys would be in legal trouble for this. In the past I said I watched this show because I was invested in the plot and the jokes were an added bonus. This was the first season I think where the jokes outperformed the story. I don't think the season was drastically funnier than previous, but the plot this season felt very repetitive and predictable. I hope next season they do a better job at story arcs, but I'm also afraid the Richard vs Gavin stuff is going to be rehashing things from prior seasons.